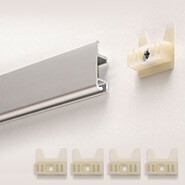 The Standard Push-Button Hook suits the Stainless Steel Cable Hangers and/or the Picture Rail Hangers. This hook is extremely popular due to it’s easy tool-free operation – you simply push the button on the top to mov ethe hook to a new position on the hanger. SKU: GBLPBHOOP Categories: Standard Gallery System. 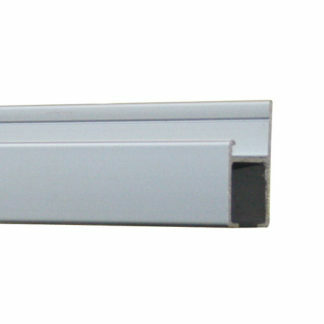 A heavy duty system with lighting capability., Picture Rail System. Add the functionality of a modern hanging system to existing picture rails.